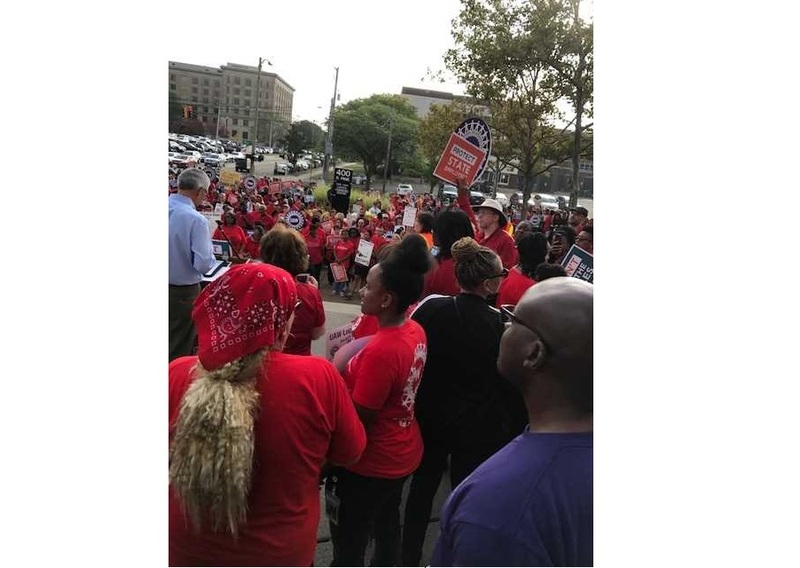 The Michigan Civil Service Commission recently voted to restrict a practice called “union release time” that allows state employees who are union stewards to do union work on state time. The new rules will prohibit the unions and the state from negotiating over how many employees will be granted this privilege. Instead, the commission will grant it to just one individual from each of the unions that represent state employees. Come 2019, then, the state will no longer spend over $1 million each year for more than 30 state employees to spend some or all of their time on the job doing union work, according to some reports. Currently, Michigan is paying 20 state employees annual salaries totaling more than $1.2 million to do union work on a full-time basis. Some other employees receive partial union release time. The information came from an open records request to the Michigan Civil Service Commission. The commission confirmed in an email that the unions don't reimburse the state for these costs. For example, Edward Mitchell and Randall Brown will each collect a state salary of $76,608 a year to spend 100 percent of their time doing union work, according to data obtained through an open records request. According to Mackinac Center Legal Foundation Senior Attorney Derk Wilcox, union leave time has always been a dubious practice. “The courts have ruled that the state employer cannot control the activities of the employees when they are on union leave, and it should never be the case that the taxpayers have to pay for employees to do unions’ job instead of the public’s work that they are paid to do,” Wilcox said. Wilcox explained that the new rules substantially curtail paid union leave by removing it as an option for union collective bargaining negotiations with the state. In an interview with MLive, AFSCME Council 25 Secretary-Treasurer Larry Roehrig opposed the new rules and said unions should be treated as partners, not just subjected to top-down decisions from the commission. “We do make a difference and we are still relevant in this relationship. Don’t slam our fingers in the door, we’re trying to hold it open for you,” Roehrig said. The Office of State Employer, which oversees collective bargaining for the state, declined a request to comment. About 70 Michigan school districts also employ around 100 officials released from working for taxpayers to work for the union. Critics refer to these as “ghost workers.” A bill to end the practice died in the GOP-controlled state House last year and has not been taken back up.